Enjoy mid-year warehouse sale up to 80% discount @ AC Ryan, from now till 28 June 2015. So, what are you waiting for? Come and hurry! 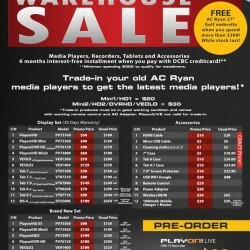 Have a look at the latest full price list of A.C. Ryan's bi-annually warehouse sale below. 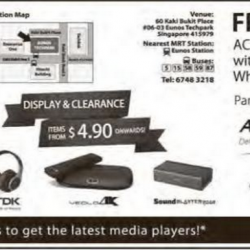 Sales items including media players, recorders, tablets and more.